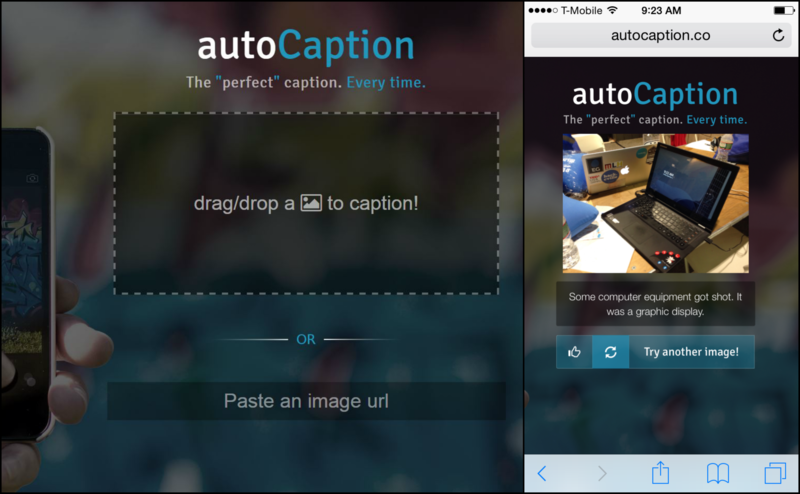 The goal of autoCaption.co is to give you the perfect caption, every time. We were inspired to make this after struggling to come up with funny and interesting captions when we posted pictures on social media. We made this in September 2015 at the Penn Apps Hackathon - one of the largest student hackathons with over 1,300 students. Amazon awarded us the prize for best use of Amazon Web Services due to our innovative use of the CloudSearch service. We used IBM BlueMix Watson Image Recognition API as well as Imagga API to detect objects in uploaded pictures to our platform. My contribution to the team was scraping hip hop lyrics, funny quotes, and one liners from a variety of sources on the web. I then loaded these potential captions into AWS Cloud Search. 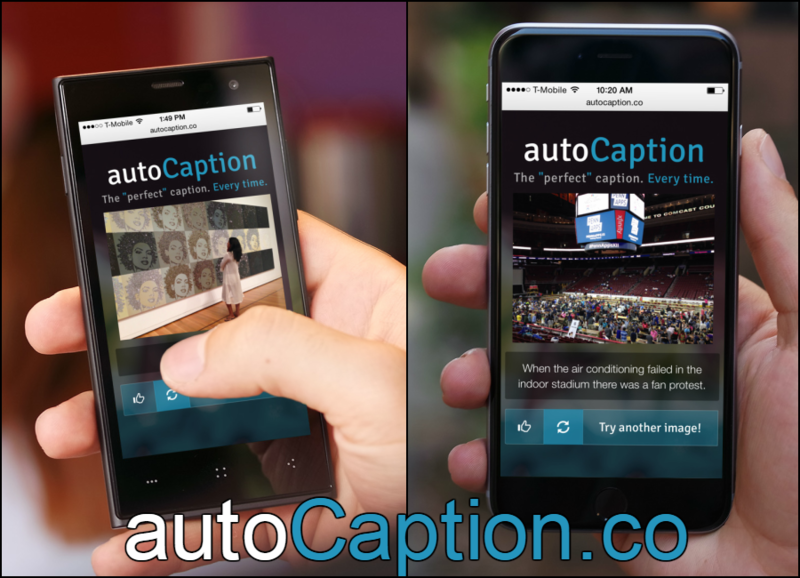 There I implemented and tuned fuzzy search throughout our custom database of captions. I also did innovative synonym tagging on the captions in order to surface even more relevant and funny captions. For my use and tuning of AWS Cloud Search our team was awarded the best use of AWS prize. The Model-View-Controller framework we used was Django hosted on DigitalOcean.